Tirupati Transport Corporation has a team of experts focused on providing our customers with superior services and solutions to all their transport logistic requirements. No matter what size your business is, or what your cargo needs are, our mission is to provide complete customer satisfaction by providing responsive, tailored solutions to achieve the best possible deliver outcomes at the best possible value. We listen to your priorities and offer results you can depend on. Regardless of how big or small your delivery is, we can offer a complete end to end freight service or alternatively we can assist you in a specific area of necessity. Our proven track record and the use of the latest technology enable us to assist your company with the most complex transport management tasks. For the safe and expedient delivery of your freight you can rely on Tirupati Transport Corporation. The Company’s consignment notes enjoy the crucial Indian Banks’ Association (IBA) approval (transport operator code no. is RHT-1600), which enables the customer to negotiate our consignment receipts through bankers and other valid channels. This approval is Granted by the IBA, after a thorough check. The Company is also a life Member of Bombay Goods Transport Association (B.G.T.A.). We pride ourselves on our ability to not only meet all the transport requirements of our customers, but to also exceed their expectations. As our customer, you are our Number One priority. 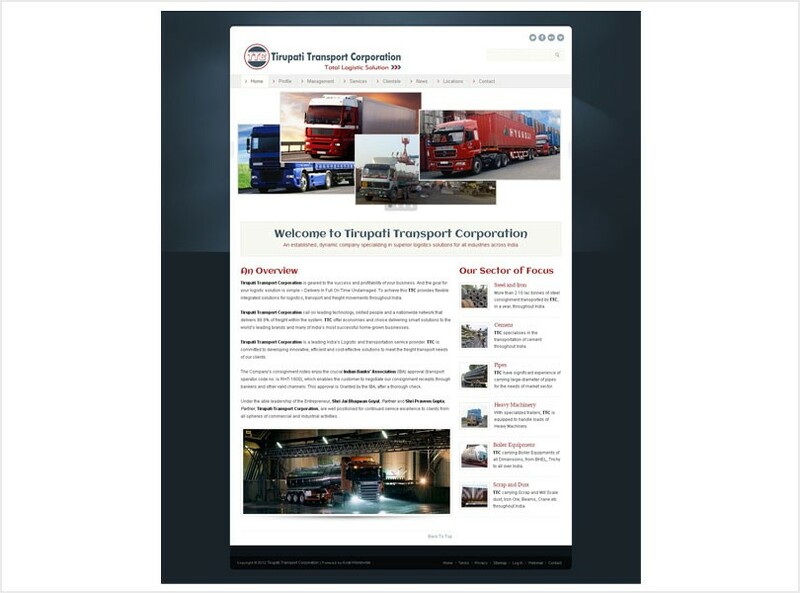 Contact Tirupati Transport Corporation to find out how we can meet your logistic needs.